IT’S TIME TO WIN BIG!!! Hello Champs, Introducing the #DareToMerrybet promo!!! 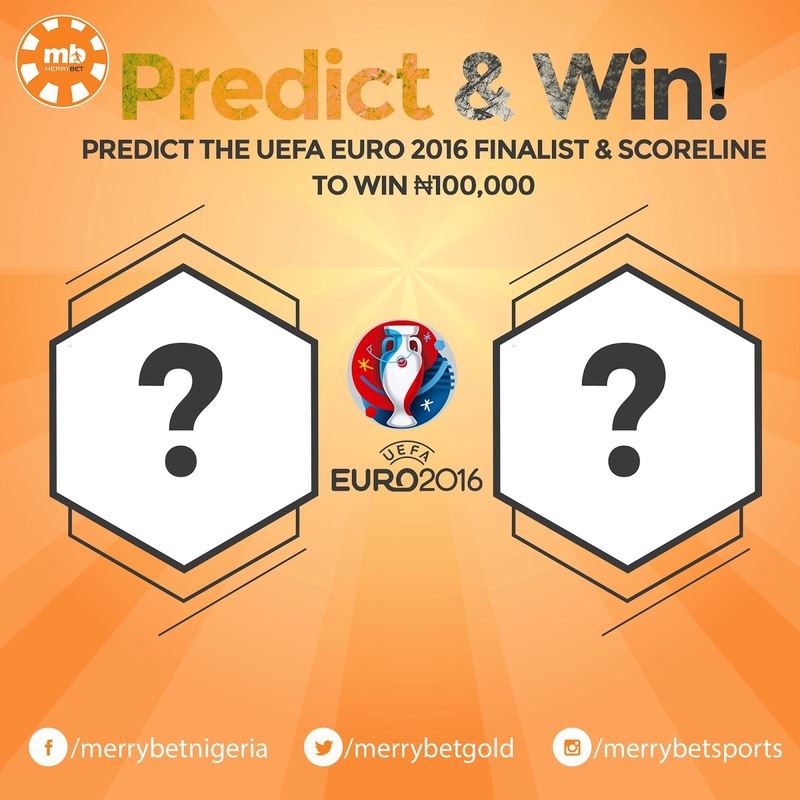 PREDICT THE UEFA EURO 2016 FINALISTS & SCORELINE TO WIN ₦100,000!!! Follow Merrybet on all Social media platfroms to Win BIG!!! 1. Predict the teams to play EURO 2016 finals and the correct scores to win ₦100,000!!! 2. To participate, comment along with your Merrybet username and the #DareTo Merrybet hashtag under the campaign post. 3. Follow/Like Merrybet on all Social media platforms on Facebook, Twitter & Instagram. 4. Participants must Share the promo image on Facebook, Retweet the promo tweet on Twitter or Regram the promo image and tag @merrybetsports on Instagram. 5. Multiple predictions will result in automatic disqualification. 6. Entries close 8am on Saturday, June 25th 2016. 7. Promo runs on all Merrybet Social media platforms. 8. In the event that there’s more than one winner, prize money will be shared among lucky winners.